It Finally Arrived! My Forensic Rehabilitation Counseling Graduate Certificate! 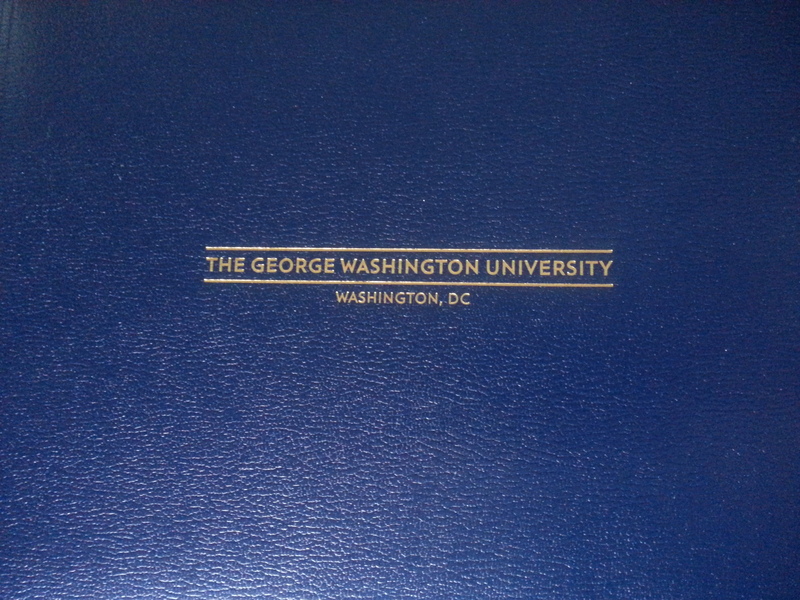 I’ve been waiting for my graduate certificate in Forensic Rehabilitation Counseling from The George Washington University! It finally arrived in my mail box! The FRC program took well over a year, and I’m happy to move forward with new and exciting forensic areas in my consulting practice. Forensic Rehabilitation Counseling is valuable in cases including personal injury, medical malpractice, life care planning, marital dissolution, product liability, and catastrophic injury. Although I’ve had some experience in these areas, I’m ready to take more cases on! GWU’s colors are blue & buff! 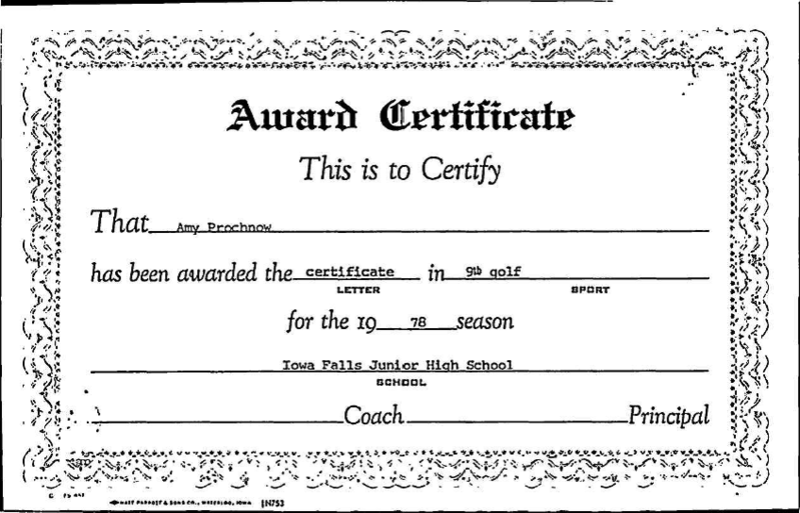 Huh, no coach and no principal signed it!? I was golfing with Becky Tjaden, in a mother-daughter tourney (and my mom picked my sister Janice to play with!). I miss you Becky and treasure my memories of golfing with you….teaching and mentoring me on the course has helped me in so many ways….including in my career. BTW: Do you know there is golf forensics!? Have fun with your career and in your golf game! Yes, the stakes are high in forensic rehabilitation counseling, and yes they can be in a golf game. It may be like getting out of the rough on the last hole of a golf tournament, and you never know if you’ve made the right choice until it’s too late to change your mind. To play to win (or at least to beat your opponent by a stroke or 2!) keep certain basic principles in mind, use your best judgment, your best methodology, your best attitude, and have fun! Let me know how I might help with a litigated case that would benefit from my involvement. I love preparing Life Care Plans. (I can also critique a plan that landed on your desk!) A Life Care Plan can become the hole-in-one to your case! Posted on October 6, 2014 May 18, 2016 Categories Forensic RehabilitationTags care planning following catastrophic injury, catastrophic injury, expert testimony, expert witness, forensic rehabilitation counseling, Life Care Planning Services, martial dissolution, medical malpractice, Personal Injury, product liability2 Comments on It Finally Arrived! 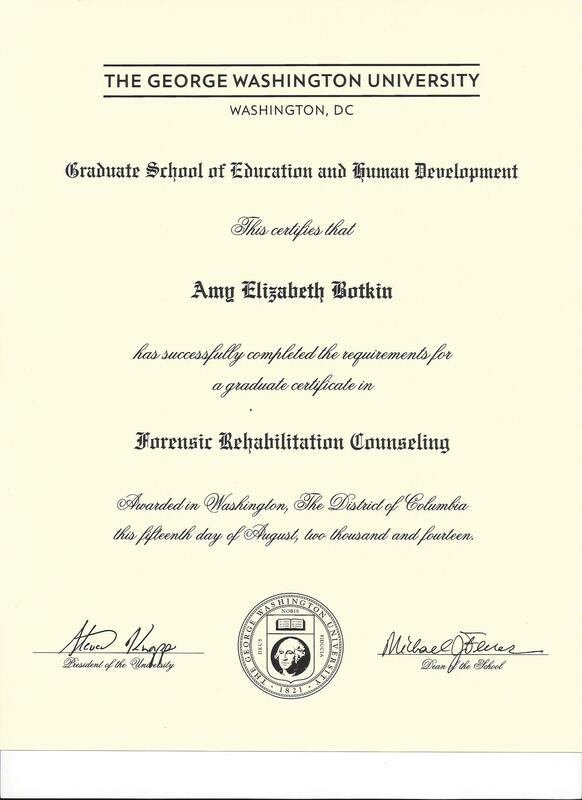 My Forensic Rehabilitation Counseling Graduate Certificate!